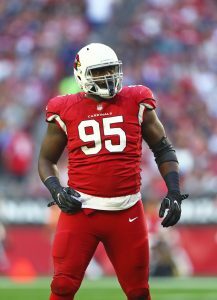 Rodney Gunter will be in line to remain a part of the Cardinals’ defensive line rotation, with Adam Schefter of ESPN.com tweeting Gunter agreed to a deal to stay in Arizona. The Packers hosted Gunter on a visit last week, but he will stick around with the Cardinals instead. Kliff Kingsbury will be the third Cardinals coach Gunter has played for since being drafted in the 2015 fourth round. 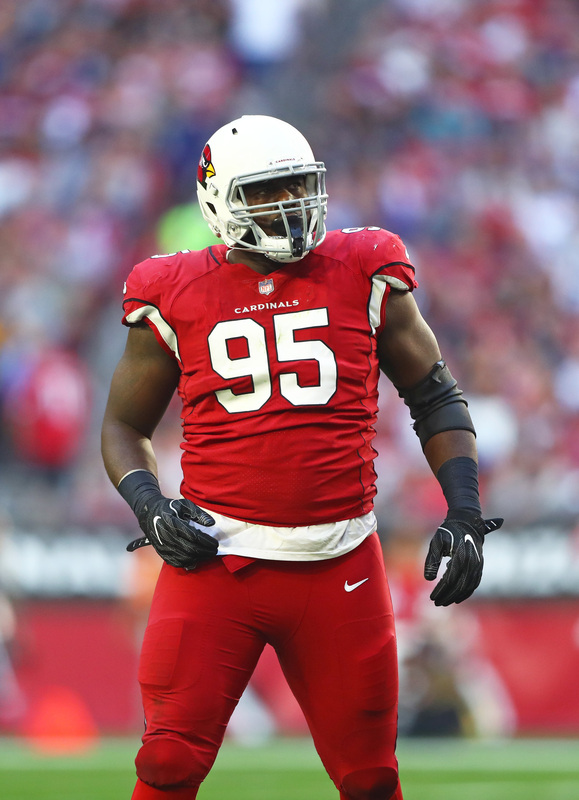 Arizona has been active in free agency, but beyond the Larry Fitzgerald pact, the Cards mostly have signed outside free agents, defensive line addition Darius Philon among them. Gunter will return as a cog in a 3-4 defense, a role he played for three years under Bruce Arians. After spending his first three seasons in a reserve role, he appeared in all 16 games last year, making 10 starts and turning in career highs in sacks (4.5) and tackles (44). Gunter finished out with a respectable 70.1 overall score from Pro Football Focus, placing him 59th out of 112 qualified interior defenders. The Cardinals also signed two recent AAF offensive lineman in Andrew Lauderdale and Jeremiah Poutasi, a 2015 third-round pick. Lauderdale played for the Arizona Hotshots, while Poutasi — a former Titan and Jaguar — suited up for the Salt Lake City Stallions. Poutasi has not played in a regular-season NFL game since 2016. Lauderdale has yet to play in a regular-season contest.